Not content making airship-inspired speaker systems, B&W is setting its sights on a new frontier — your ear canals. These new Bowers & Wilkins C5 Headphones ($180) feature a Secure Loop cabling feature that helps keep things in place, a Micro Porous Filter for a more rich, expansive sound, tungsten weighting on the inner casing that helps the buds to stay securely in your ears, and an in-line remote and mic to let you take calls and change tracks without pulling your device out of your pocket. Incase is well known for its minimalist design tendencies, so it's no surprise that the company's new Incase Headphones ($TBA) are so subdued. Sporting monochrome black bodies with lime green accents, the new collection includes Sonic Over Ear, Reflex On Ear, Pivot On Ear and Capsule In Ear models, and feature shapes designed to fit your head as well as speakers designed to sound as balanced and natural as possible — sorry, bassheads. Listening to music while running, training, or doing a host of other sporting activities is a given — and so is the disgusting crud that can build up on your earphones thanks to sweat and grime. 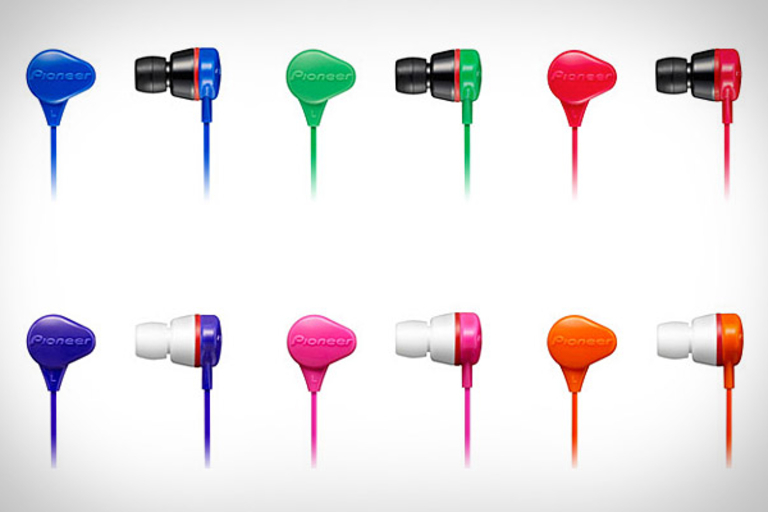 Pioneer Washable Earphones ($60) help you easily take care of this problem, thanks to their IPX7 International Protection Rating that makes them waterproof to one meter, and therefore completely washable. Other features include an in-ear design, four included pairs of tips, 9mm drivers, and a gold-plated 3.5mm plug. Style and sound quality are usually mutually exclusive in the realm of cheap earphones, but not with the Sony MDR-570LP Headphones ($28-$35). Available in orange, green, or black, they sport a distinct round ear cup and seductively slim bands, as well as urethane cushions for comfort and 30mm drivers to provide ample sound even in noisy environments like buses, trains, and the inside of your local coffee shop. Ever have the need to share the audio coming from your headphone port? 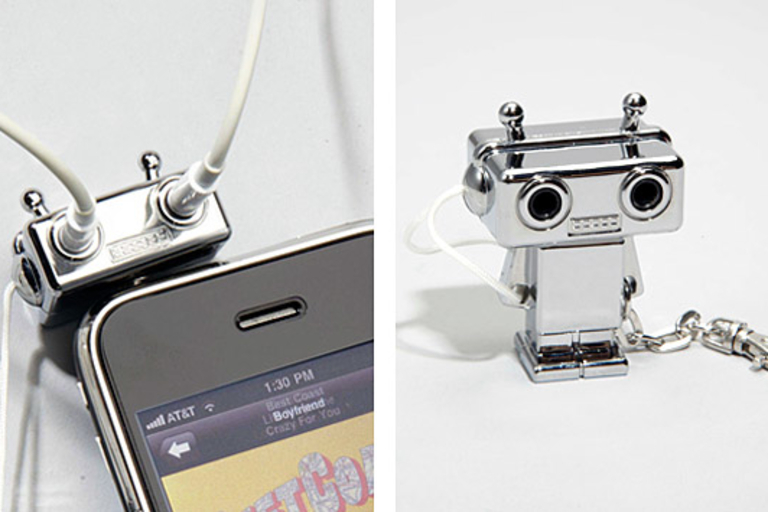 This little Robot Headphone Splitter ($14) is here to help. With eyes made out of headphone ports and a plug for a neck, this robotic helper reattaches with his keychain-grabbing body when not in use, so he's always nearby when you need him. If you like listening to tunes while you run, train, or play, you've probably had your 'buds fall out of your ears at least once or twice. 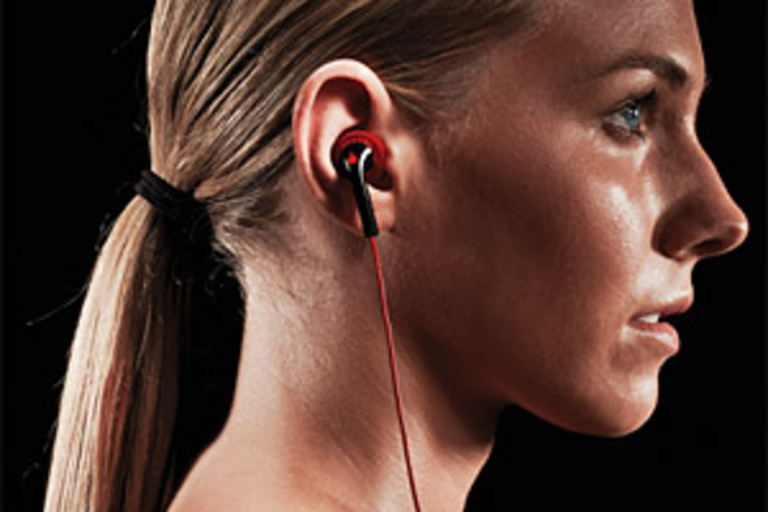 Yurbuds Ironman Earphones ($50) are designed to eliminate this problem by using ultra-soft, medical-grade silicone tips that provide a snug fit, while other features like neodymium drivers and a water resistant design provide superior sound and toughness. Included in the package are a red Ironman nylon carrying case and some Ironman trading cards. Time to bust out that Beckett. For those who wear headphones in more extreme environments than in a lounger next to their hi-fi, durability often trumps sound quality. These Philips O'Neill Stretch Headphones ($70) aim to offer both, featuring an impact- and crack-resistant stretchy headband, tangle-free cabling that separates from the headphones to prevent breakage, soft ear cushions for all-day comfort, and dynamic 40mm drivers for great sound.